Mark Robens joined Stichter, Riedel, Blain & Postler, P.A. as an associate in 2014, after graduating from Stetson University College of Law. At Stetson, Mark was awarded the Alexander L. Paskay Award for excellence in bankruptcy law, the William F. Blews Pro Bono Service Award, a Certificate of Concentration in Advocacy, and the Leadership Certificate. He also served as a Judicial Intern with the Honorable Catherine Peek McEwen, U.S. Bankruptcy Court, and with the Honorable Gregory Holder, Florida Thirteenth Judicial Circuit Court. Mark was a member of the Stetson Law Review, the J. Reuben Clark Society, and the Stetson Law Parents. Mark represents both debtors and creditors in bankruptcy, assignments for the benefit of creditors, and workouts. 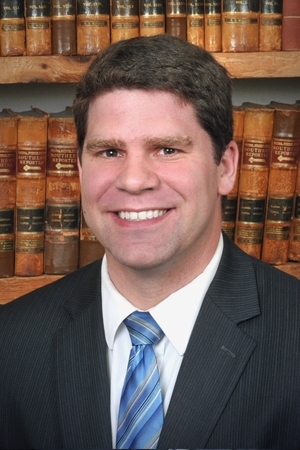 In re O’Donnell, successfully represented client in an objection to discharge under 11 U.S.C. § 727. In re Kraz, LLC, successfully confirmed cramdown plan after contested confirmation, including third party injunction. Successfully represented the client in an adversary proceeding on the amount of a claim.